Lately all this low-fat health talk has been taking the fun right out of snacking, not to mention the flavor. So we found a new way to put back into an all natural chip like you've never tasted better. We don't fry it (unhealthy). We don't bake it (undelicious). We start with sweet potatoes and other all-natural ingredients, add a little heat and pressure, and pop! It's a chip. Then we use the finest seasonings for a snack so tasty and crispy, you won't even notice it's (we hesitate to say) healthier. No fake colors, no fake flavors, no fluorescent orange fingertips, no wiping your greasy chip hand on your jeans. No. Really. 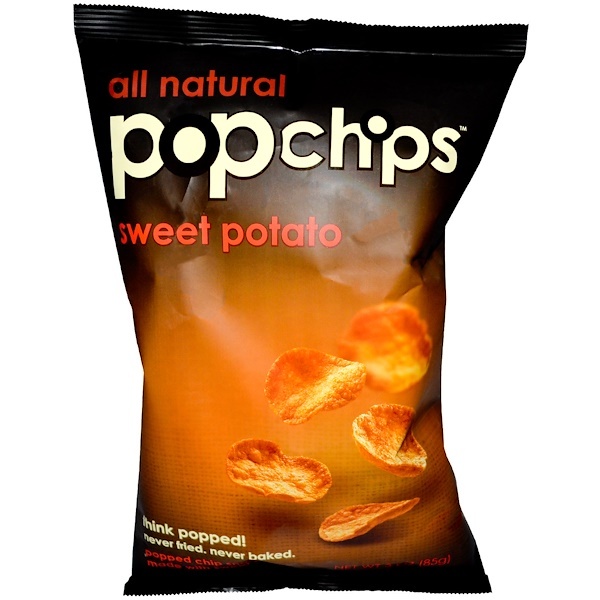 *50+% less fat per 28 g serving sweet potato popchips (4 g) than regular fried potato chips (10 g). 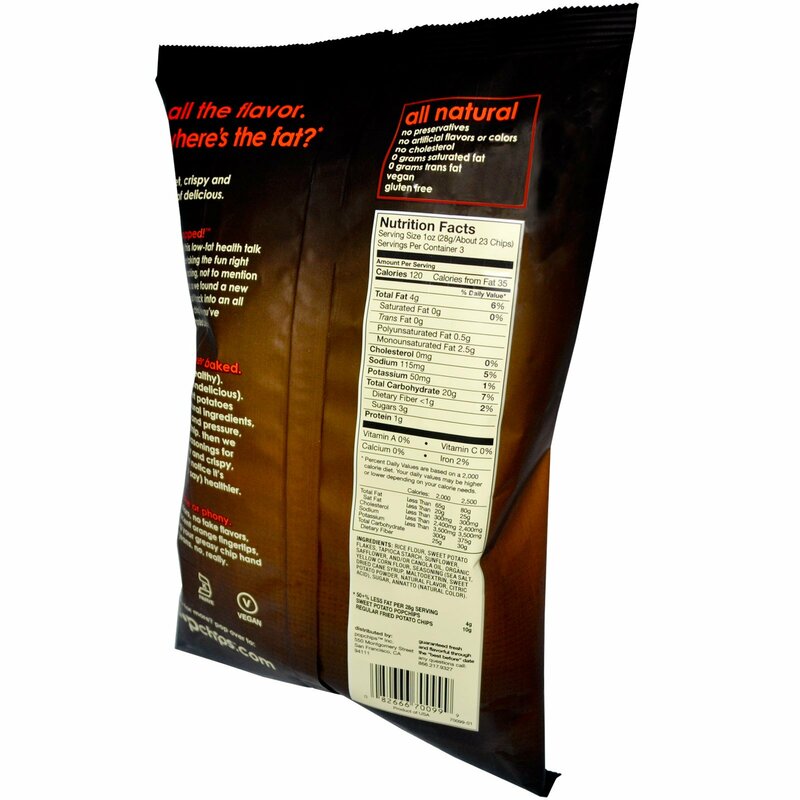 Rice flour, sweet potato flakes, tapioca starch, sunflower, safflower, and/or canola oil, organic yellow corn flour, seasoning (sea salt, dried cane syrup, maltodextrin, sweet potato powder, natural flavor, citric acid), sugar, annatto (natural color).